Dental implants represent up to date the best replacement option for missing teeth. Even though dental implants are quite expensive for the greatest majority of people because they can’t afford them, the implants should still represent the number one choice if you need to replace missing teeth. You might think that there is not such a big difference between dental crowns and dental implants…but the benefits of implants go well beyond aesthetics only. When you lose a tooth within your mouth, the bone starts a resorption process. If you don’t replace the tooth from its root (which is possible only with implants), you might have to put up later on with plenty of oral health complications. Also, the time between the loss of your tooth and the dental implant procedure should not be too long, so that you will not need bone grafting which is both painful and expensive too. If you need to replace a few teeth, you should research well your financing options, and opt for the most efficient treatment represented by the dental implants. The dental crown needs replacement in about 5 or 10 years, while implants come with a lifetime “warranty”. 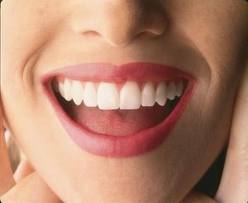 Not only will your teeth look much better, but nobody will be able to tell you are having implants. On the other hand, all you need is a large smile and everyone can tell you are wearing dental crowns- because they are too shiny, too white, too “plasticky” and they simply have an unnatural feel and look. Dental implants look, feel and behave just like a set of natural teeth, so yes, the quality of your life will be enhanced dramatically. With dental implants there is no restriction regarding what types of foods you can actually eat. Whether these are healthy crunchy vegetables or even chewy or sticky food- you will be able to eat everything. With dental implants you can chew properly food, so the food is going to be digested well. Dental crowns might not allow you to chew well, and then you can put up with digestion complications. Also, with dental crowns you can’t consume foods that are harder or chewy/sticky, because the crowns might easily come off/slip within the mouth. With dental crowns you constantly worry about the gagging reflex, or about the crown slipping within your mouth. Dental implants are “implanted” well into the root of the tooth, so there will be no more such worries above your head. You can eat, laugh, chew food, sneeze or cough naturally without making any problems that the dental implants might slip. With a dental implant, the natural state of your biological tooth is replicated in the best way. The dental implant is the best replacement for permanently lost teeth, and you will not have to put up with all those oral health problems caused typically by dental crowns (swelling gums, gingivitis, irritated gums, the apparition of fungus within your mouth, ect.). If you have ever worn an upper denture, you know that your plate is “sealed”. You cannot taste the full flavor of the food, and eating is one of the most loved enjoyments of life. With dental implants, your palate is never covered, and you can enjoy all the flavors of foods at their maximum. If you are interested in more information about Dental Implants, Contact Glasscock Dental with any of your oral health concerns.